Silver Puffs are a member of the Sunflower Family. The plant grows to 1 foot in height and has gray-green linear leaves that grow to 5 inches in length. The plant typically grows in foothills, plains and mesas at elevations below 5000 feet. Silver Puffs have hollow stems and are also known as Starpoints. 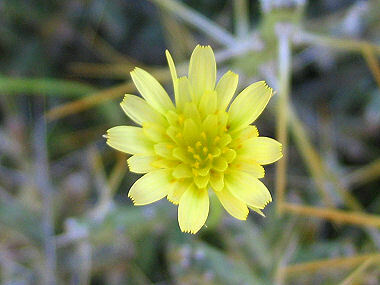 Silver Puffs bloom between March - May and produce yellow dandelion-like flowers to 1 inch in width. Flowers are followed by a silvery seedhead.